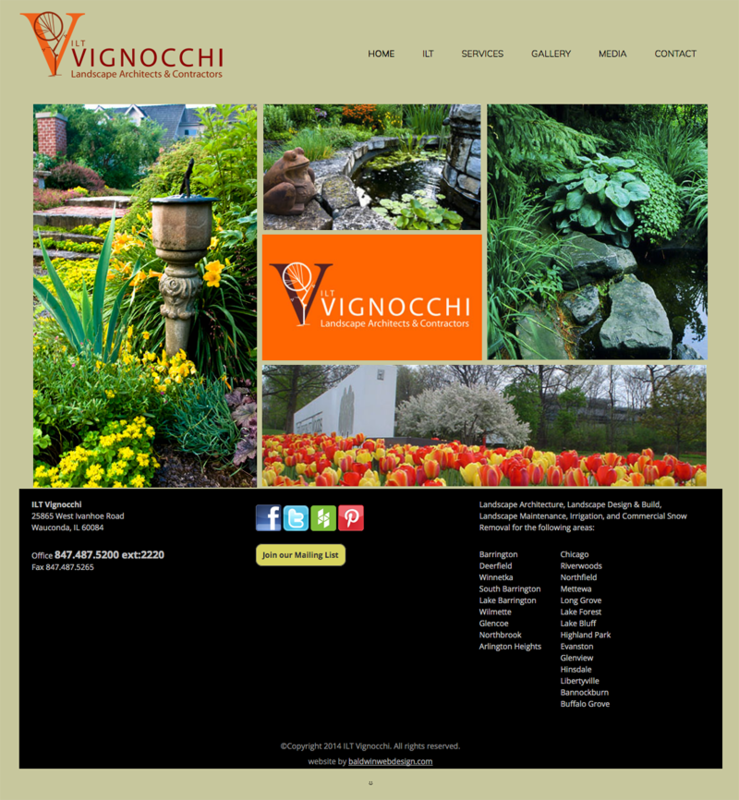 ILT Vignocchi is based out of Wacaunda, IL and specializes in large residential and commercial landscape and design projects. 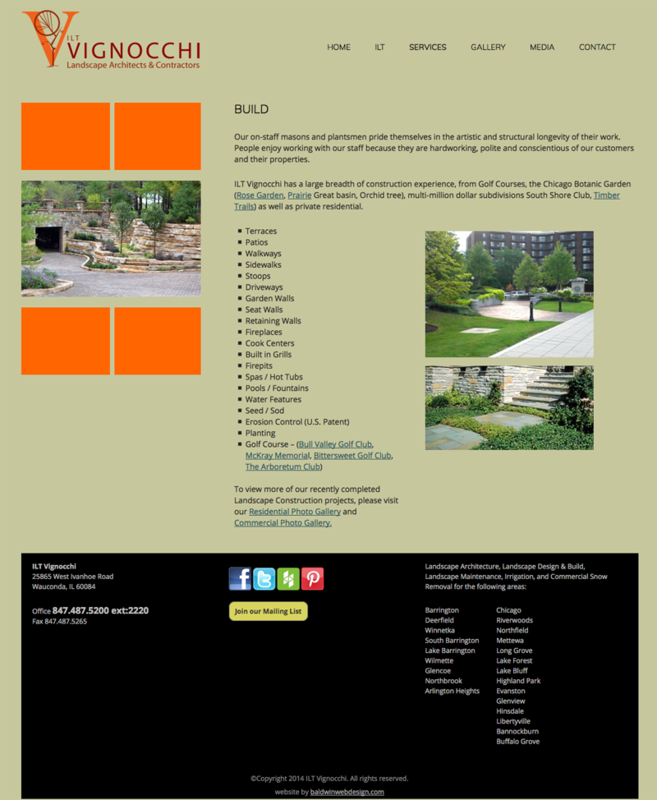 They needed a site to showcase their beautiful projects and also a platform to describe their many services to the residential and commercial communities in the Chicagoland area. The site was designed around their existing branding and features many project galleries.